PERHAPS it was the "fog of simulation". But the scariest aspect of a US-Iran war game staged this week was the way each side miscalculated the other's responses ~ and moved toward war even as the players thought they were choosing restrained options. The Iran exercise was organized by Kenneth Pollack, a senior fellow at the Brookings Institution's Saban Center for Middle East Policy. It included former top US officials as Washington policymakers, and prominent Iranian-American experts playing Tehran's hand. I was allowed to observe, on condition that I wouldn't name the participants. The bottom line: The game showed how easy it was for each side to misread the other's signals. And these players were separated by a mere corridor in a Washington think tank, rather than half a world away. Misjudgment was the essence of this game: Each side thought it was choosing limited options, but their moves were interpreted as crossing red lines. Attacks proved more deadly than expected; signals were not understood; attempts to open channels of communication were ignored; the desire to look tough compelled actions that produced results neither side wanted. Let's walk through the simulation to see how the teams stumbled up the ladder of escalation. 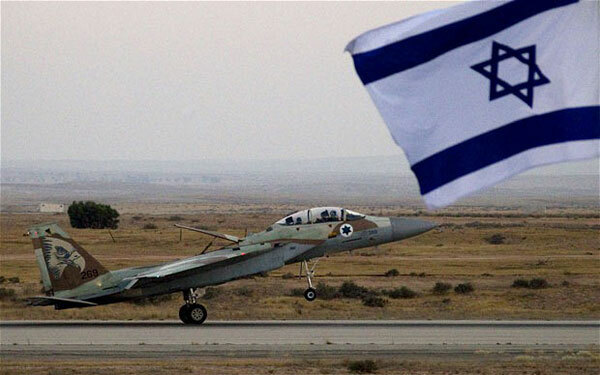 The game was set in July 2013, with some broad assumptions: It was assumed that President Obama had been re-elected, the P5+1 negotiations remained deadlocked and Israel hadn't launched a unilateral attack. The game controllers added some spicy details: assassinations of Iranian scientists were continuing; and the US, Israel and Britain were developing a new cyber weapon (imaginary code name: NATIONAL PASTIME) to disrupt power to Iran's nuclear and military facilities. Even so, the Iranian supreme leader thought America was a paper tiger, telling aides: "The Americans are tired of the fight and they are led by a weak man with no stomach for the struggle." Meanwhile, Iran was pushing ahead with its nuclear program; it had a rough design for a weapon and in three to four months would have enough highly enriched uranium to make two bombs. The action started on July 6 with an Iranian terror operation: A bomb destroyed a tourist hotel in Aruba, killing 137 people, many of them Americans, including a vacationing US nuclear scientist. The damage at the hotel was far greater than the Iranians had expected. The US team recommended strong retaliatory moves to signal Iran that it had crossed an "unacceptable threshold". The US bombed a Revolutionary Guards camp in eastern Iran; launched a cyber attack that disrupted power at 40 Iranian security facilities; and warned Iranian operatives in 38 countries that they were known and vulnerable. US military leaders in the game complained that these calibrated moves were halfway measures. Bombing the Iranians' homeland rocked their team. It crossed a red line, in a way the US side hadn't anticipated. The Tehran players spurned a secret message from Obama, delivered through Russia, warning of "dire consequences" if the nuclear program wasn't stopped; the imaginary Iranian defence minister called it a "bluff". The Iranians wanted to respond forcefully, but not so much they would trigger an attack on their nuclear facilities. Then the Iranian team made what proved a devastating mistake. After rejecting the most aggressive options (such as attacking Fifth Fleet headquarters in Bahrain), they chose limited actions that were described as "random mining" of the Strait of Hormuz and "harassment" of US ships in the Gulf. The Iranians also dispersed their stockpile of uranium, but only half, to signal they were still willing to negotiate. But the US missed the message. "They've crossed our red line," responded the imaginary US national security adviser ~ expressing the group's mistaken view that the Iranians had decided to close the strait and attack US vessels. As tensions increased, oil prices headed toward $200 a barrel. US military options were between harsh and harsher: (a) reopen the Strait by force and deliver an ultimatum that Iran stop its nuclear program within 24 hours; or (b) hit Iran's nuclear facilities simultaneously with reopening the Strait. Military logic seemed to require the strongest move. The US team ultimately voted, five to three, for an attack across Iran to disable the nuclear program and destroy coastal defences. The unsolved puzzle for the US side was how to stop the conflict, once it started. The Iranians, for their part, had decided to bleed the US in a protracted struggle. The lesson of the exercise, concluded Pollack, is that "small miscalculations are magnified very quickly." Robert Siegel talks to Kenneth Pollack, senior fellow in the Saban Center for Middle East Policy at the Brookings Institution, about the U.S.-Iran war game exercise he organized. It simulated escalating conflict between the two countries. Participants found that miscalculations on both sides led to threats of war. There was another exercise in Washington last week that involved Iran, the U.S. and the impasse over the Iranian nuclear program. The Brookings Institution staged a war game. No real weapons were used, but teams playing the roles of U.S. and Iranian policymakers were presented with a hypothetical but not very far-fetched scenario, and the results were not encouraging. Kenneth Pollack is a senior fellow in the Saban Center for Middle East Policy at the Brookings Institution, and he ran this exercise and joins us. Good to see you again. Very good to be back. First, you're not identifying the people who took part in the game, but can you at least describe what kind of people they were? Sure. On the American side, we brought together of about a dozen former very senior American officials, people who have actually occupied the roles in reality that they were asked to play in the game. On the Iranian side, it was a little bit different. We obviously don't have access to, honest to goodness, former Iranian policymakers. So what we had to do there was rely on Iranian-American and American experts on Iran, a number of whom had some experience in the U.S. government, but obviously somewhat different from our American team. They are presented with this scenario that you wrote, which included cyber attacks, assassinations of scientists, and it escalated from there. When you wrote all of this, did you write it in a way that you thought it was at least possible that diplomacy might prevail over threats of war? Absolutely. The idea was to test some basic hypotheses about where the United States and Iran might be going. And we allowed for the scenario to move in any of several dozen different directions, some of which were entirely pacific, some were entirely bellicose and others that were a mix of the two. And some of the interesting things that came out of the game were that there were some key moments were if one team or the other had done something slightly differently, according to the other team, they would've had a peaceful response instead of what actually happened. So take us back to a moment last week during this game, you as the facilitator of the entire exercise and watching it. What's a moment when you can see the slippery slope has just gotten a lot more slippery? One of the most remarkable moments for me, one of the moments where I felt like, boy, this game is now headed irretrievably into war, was when the Iranians are debating what to do after the American initial move. The game starts with a terrorist attack, an Iranian terrorist attack that gets too out of hand, too big. The United States decides to respond, and one of the things the United States decides to do is to hit a remote Iranian Revolutionary Guards' facility. And the Americans were hoping that the Iranians would see this as a minimal American response. It was the least they would do, yeah. Exactly. Literally the least the American people would accept. The Iranian saw it as the Americans crossing a red line. 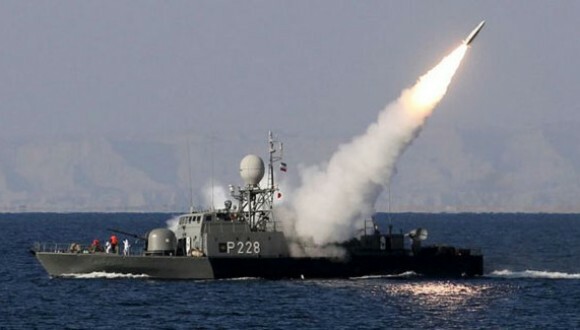 And the Iranian team also decided that having repeatedly said that if the United States hits Iran, we will close the Strait of Hormuz, they felt compelled to then do something in the Strait of Hormuz. Now according to the American team, if the Iranians had done anything else ~ and the Iranian team came up with a series of responses ~ everything else they did would've produced a peaceful American response thereafter. 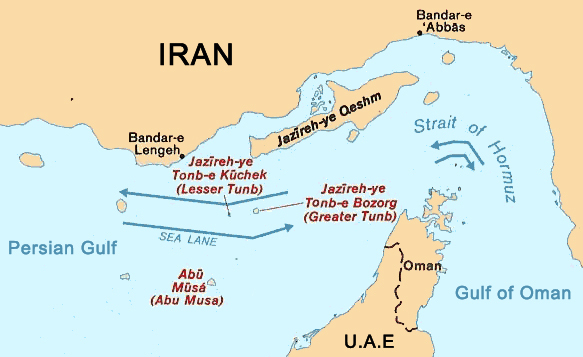 But the Iranian moves in the Strait of Hormuz were what pushed the Americans higher up on the escalation ladder. Well, was the end of the game, I mean, we're talking about the last scene of "Dr. Strangelove?" I mean, was the world about to be incinerated? How bad was the end of it all? The end of the game ~ and, of course, the end of the game was a ~ it's always a bad place to stop, was pretty bad. 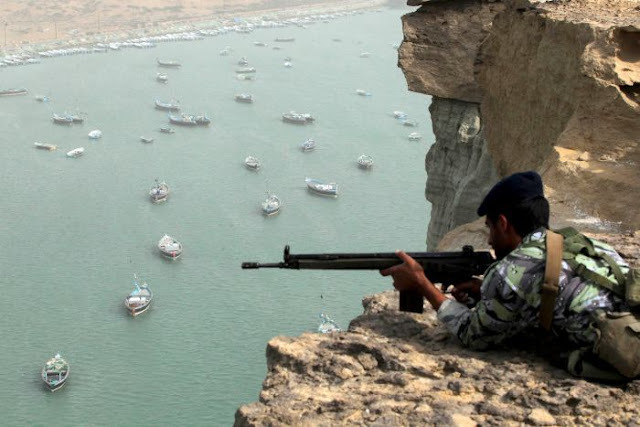 The Americans were about to launch a massive military operation against Iran. The only question was whether it was obliterating all of Iran's coastal defenses, air defenses, surface-to-air missile batteries, navy, et cetera, or whether it was going to be all that and the Iranian nuclear program. And the Iran team had already thought this through and decided that if that was what the United States is going to do, they were going to fight on in their words forever. And so the game ends with the first big American military moves. And it's unfortunate because, of course, the real problems with a war with Iran are not that first big American moves, they're what follows. They're how do you turn off a war with Iran? How do you bring it to a close? How do you stop them? Ken Pollack, thank you very much for talking with us. Thanks so much for having me back. Kenneth Pollack, a senior fellow in the Saban Center for Middle East Policy at the Brookings Institution, ran the war game we've been hearing about at Brookings last week. War Game Predicts Dire Consequences for U.S.
Is the U.S. Promoting a “Dare” to Iran? Comparison: How Much of a Threat is Iran to the U.S.